Bottini delivery drivers are the best in the business: they’re out there in all kinds of weather and hazardous conditions to make sure your family stays comfortable throughout the long Hudson Valley winter. Those conditions get particularly bad when there is snow and ice on the ground. Maneuvering with a heavy hose while navigating on slippery surfaces can be a challenge, to say the least: if a driver loses his footing, he can easily get injured. Clear a path to your fill pipe or propane tank – Please remove snow, ice, and fallen branches that might be blocking the route to your heating oil fill pipe or propane tank. Try to keep at least a one-foot-wide path clear. Clear your driveway – We’re not allowed to deliver your fuel if it’s not safe to do so (it’s not our call; it’s the law). If your driveway is covered with snow or ice, please clear and sand or salt it. Our delivery vehicles need a 9-foot to 10-foot-wide clear path in your driveway to allow enough room to maneuver. It also helps if you mark the borders of your driveway if the snow has covered them. Don’t wait for the last minute – It’s best to place your order when your propane level reaches the one-quarter mark. Doing this will give us enough notice to schedule a delivery for you. If you want to avoid the hassle of calling altogether, sign up for FREE Automatic Delivery. Did you know that we accelerate our schedule to fit in extra deliveries when severe weather is forecast? It’s just one more way we’ve got you covered! 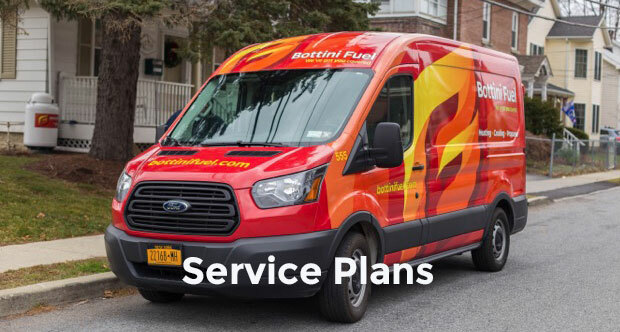 Contact us today to schedule a fuel delivery – or to join the Bottini family of customers.